Here you can get support via ticket system for above plugins and themes. Multivendor plugin allow you to create WooCommerce based marketplace where users can open shops and submit their own products for sale (and site owner charges a fee). 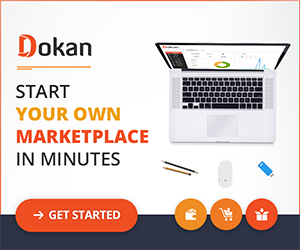 Dokan works with our Simple Auctions plugin and allows sellers to submit auction products via frontend product submission form. For working auction marketplace you need Dokan Lite + Auction module. There is also variant with Product Vendors multivendor plugin (demo website is here).